One of my fondest memories of college was getting care packages. I mean the climbing trees to get into bars thing was cool too, but that’s a different post. I am talking about that time when you are sitting on the floor in your tiny dorm room, and you cut open that brown paper wrapped package with your address written in Sharpie marker, to reveal whatever goodies are packed inside. On several occasions, my grandfather sent me a care package of his delicious brownies. These were not just any brownies. Take your best brownie, and then top it with 1 solid inch of chocolate fudge with walnuts. These brownies were so insanely good, and highly sought after by fellow dorm-mates when news of the dessert delivery spread down the hall. I could blame the occasional delivery for my freshman fifteen, but I think that was more the Dr. Pepper, Oreos and daily microwaved helping of nachos. I mentioned in another post that I am not the best baker in the world. That would probably be the main reason for me not trying to duplicate my grandfather’s brownies. I would hate to ruin the memory of them. But after trolling through a holiday issue of Southern Living, I saw the pictures of this Mississippi Mud Cake and the fudge-like layer on the top, and it immediately sent me back to my grandfather’s brownies. It had three components, a brownie cake, marshmallows and chocolate frosting. I decided to give it a shot. They were awesome. I say were because of the speed in which I kept eating them. Mid-life fifteen here I come! Preheat the oven to 350. 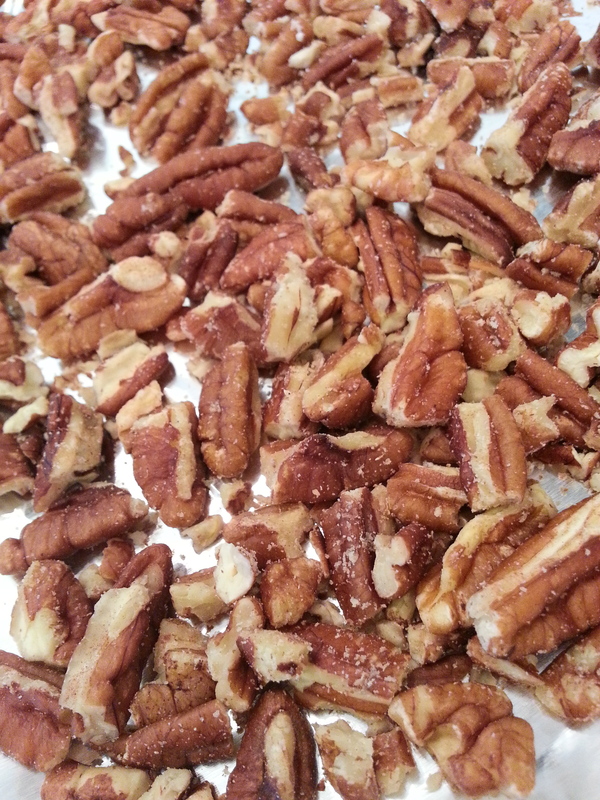 Bake pecans in a single layer in a shallow pan 8-10 minutes until toasted and fragrant. 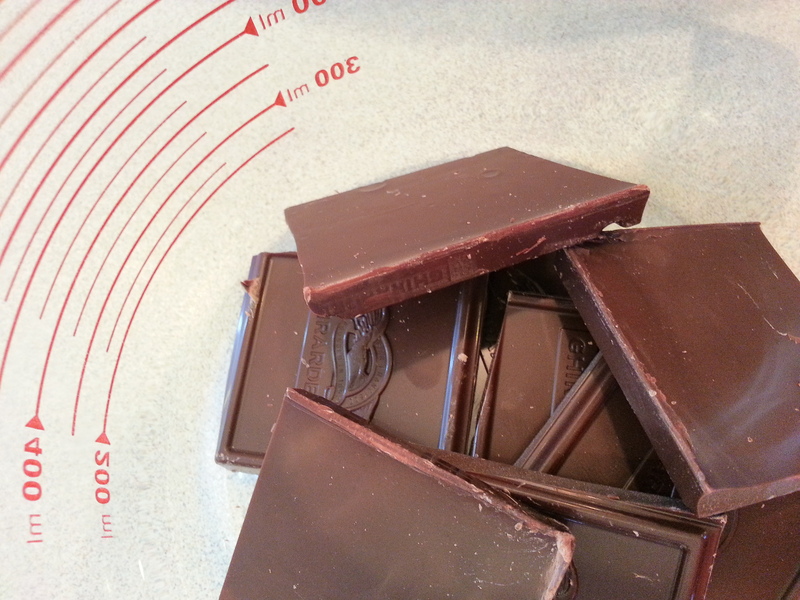 Microwave butter and chocolate in a large microwave-safe glass bowl at high for 1 minute or until melted and smooth, stirring every 30 seconds. 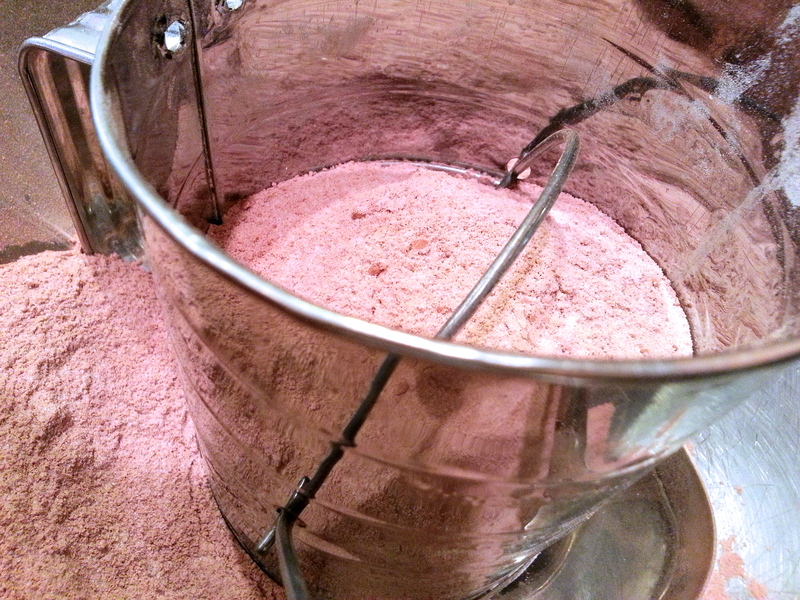 In a large bowl, sift sugar, flour, cocoa and salt together. Whisk eggs and vanilla together and add to dry ingredients. 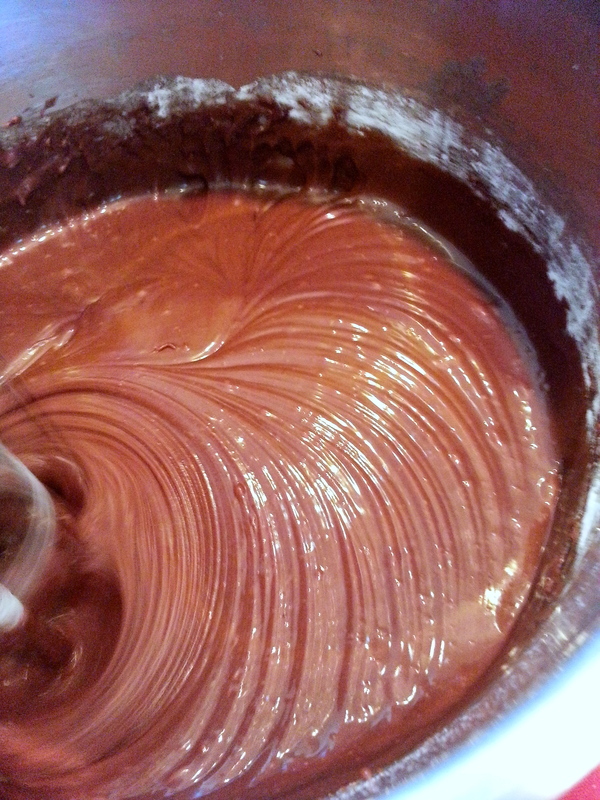 Pour melted chocolate and butter mixture into large bowl with cocoa mixture and stir to combine. Pour batter into a greased 15 x 10 x 1 inch dish or pan. Bake at 350 for 20 minutes. 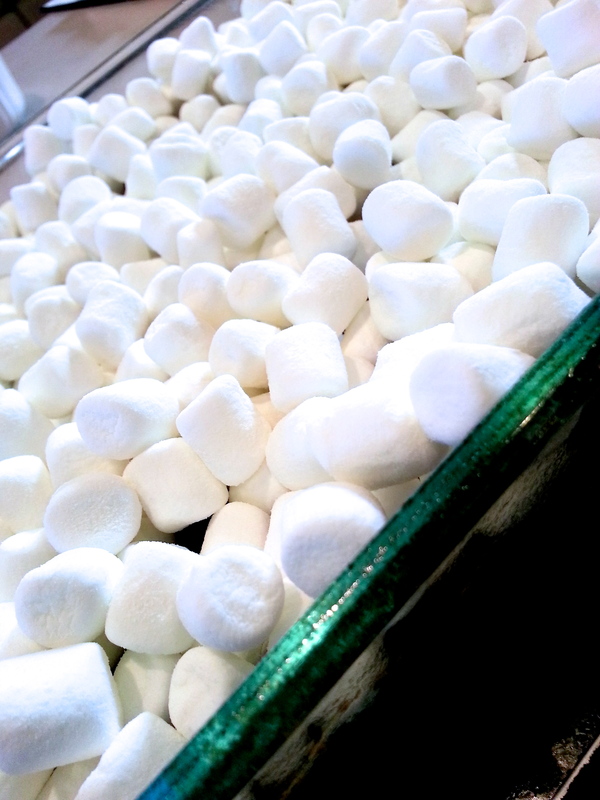 Remove from oven and sprinkle with marshmallows. 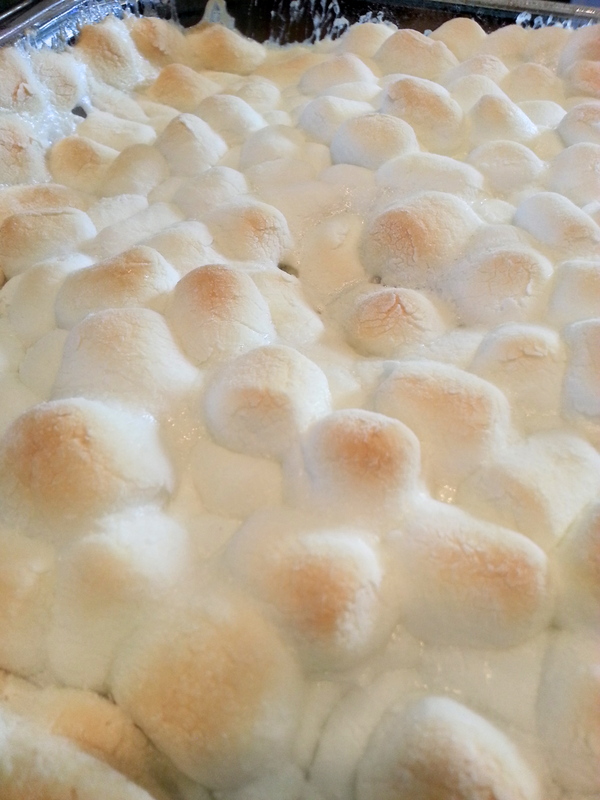 Bake 8-10 minutes more until marshmallows are golden brown. Drizzle warm cake with Chocolate Frosting and sprinkle with toasted pecans. Stir together first 3 ingredients in a medium saucepan over medium heat until butter is melted. Cook, stirring constantly, 2 minutes or until slightly thickened. 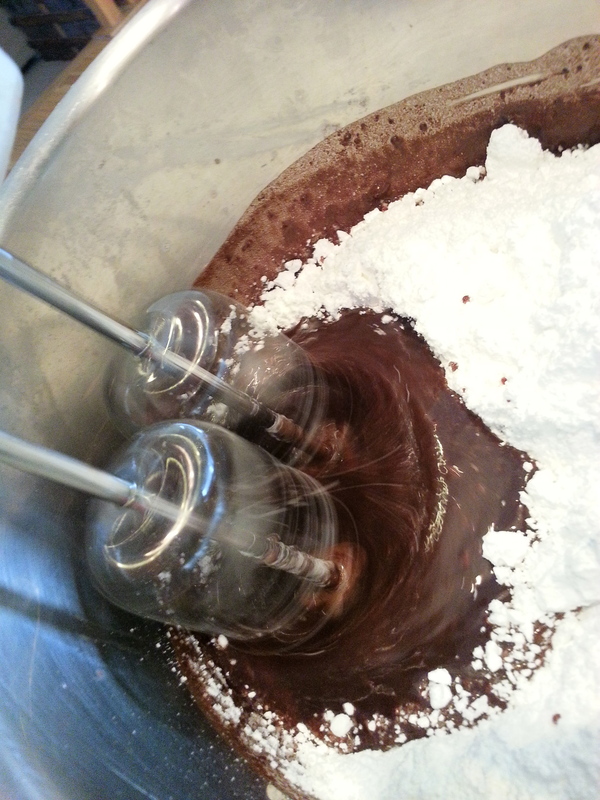 Remove from heat and beat in powdered sugar and vanilla extract at medium-high speed with an electric mixer until smooth. note: Recipe says this makes 15 servings but depending on how you cut it, this could serve 4 nicely – kidding. This entry was posted in desserts and tagged cake, chocolate, chocolate frosting, marshmallows, mississippi mud. Bookmark the permalink.